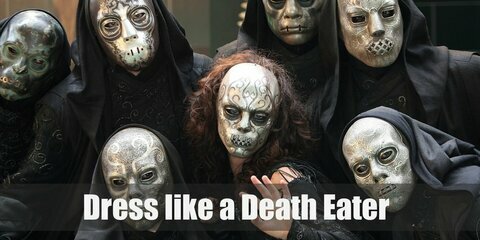 Death Eaters wear long, black hooded robes, and a fancy Death mask. 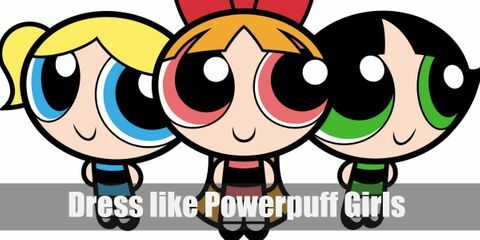 They also have the Dark Mark on their forearm and their wand. 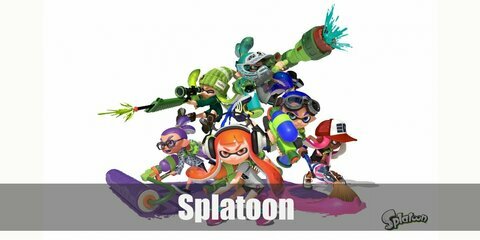 Inklings (what the squid humanoids in Splatoon are called) look different from each other. For this article, let’s talk about Agent 3’s male and female costumes. 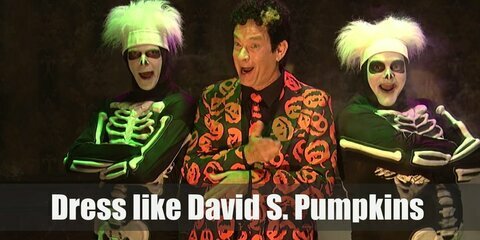 David S Pumpkins wears a suit with pumpkins designed all over it. Even his tie has pumpkins! He’s the perfect Halloween host if there ever was one. 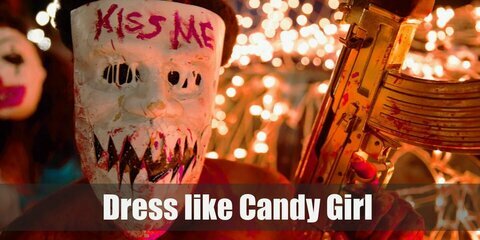 The Purge Anarchy mob seemingly casual outfits are suddenly intimidating and dangerous because of their masks and weapons. Who knew a hoodie can look so scary? 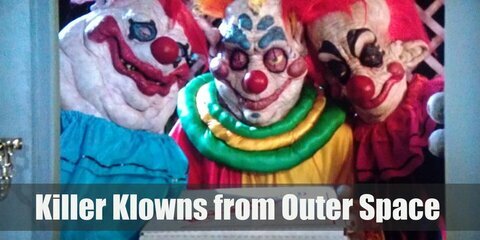 The Klowns have chalk white faces with huge smiles painted on their faces. 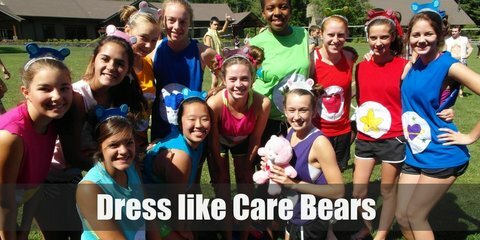 Their costumes are an array of bright colors that clash with one another. 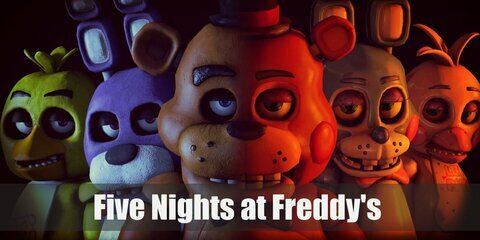 Five Nights at Freddy’s darling mascots are Freddy, Foxy, Bonnie, and Chica. 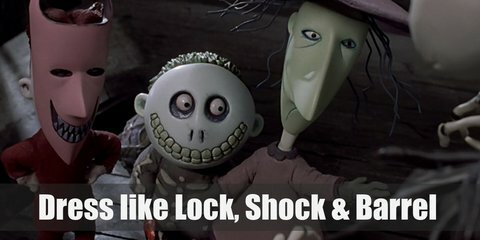 Just make sure to lock yourself away from them during the night, or their Nightmare versions might just be the last thing you’ll ever see. 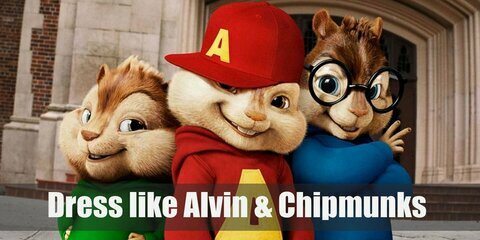 Alvin wears a red sweater with an ‘A’ written on it and a red cap, Simon wears a blue sweater and black-rimmed glasses, and Theodore wears a green sweater. 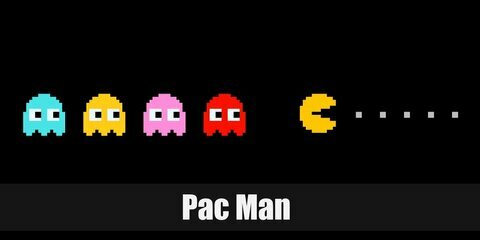 It’s no secret that the Average Joes wear a mustard yellow shirt with ‘Average Joes’ printed on it, matching running shorts, and comfy sneakers. 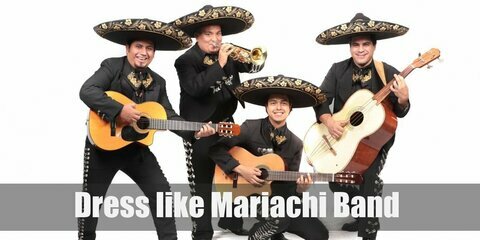 Mariachi band people wear a white shirt, chaquetilla (short jacket), pantalón de charro (fitted trousers adorned with botonadura and/or greca), embroidered belt, ankle-high boots, a big bow tie and a wide-brimmed hat. 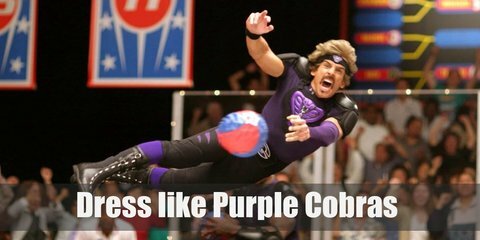 Globo Gym’s dodgeball team name is Purple Cobras. 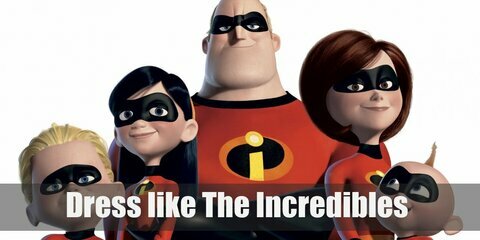 They wear purple shirts, black compression shorts, and different black body armor. 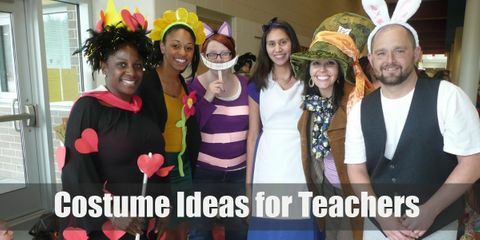 Live up the school spirit with themed costumes this Halloween! 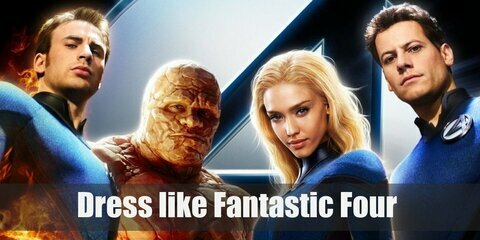 Three-fourths of the Fantastic Four quad wear the same superhero uniform, a dark blue, form-fitting, full-body suit with a Fantastic Four patch sewn in front. Blanche Devereaux loves to wear colorful clothes. Rose Nylund is always seen in neat and conventional outfit. Dorothy Zbornak's style always convey her boyish character for she often wears loose and comfortable clothes. 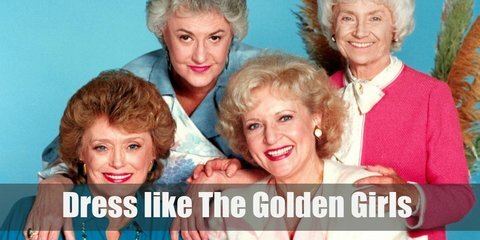 Being the oldest, Sophia Petrillo's style is more subtle than the others. 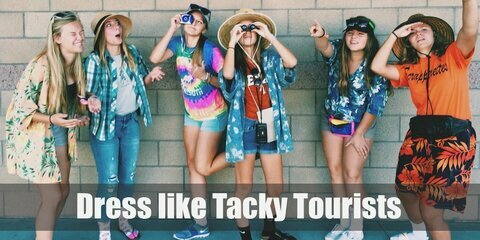 The tacky tourists are likely to wear a bright printed shirt like a Hawaii shirt with shorts and a pair of flip-flops with socks.